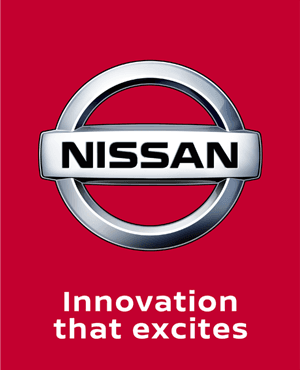 Nissan’s approach to innovation is to take advanced and useful features and make them more accessible to everyone. Our technology is simple to operate, so driving becomes safer and more enjoyable. With equipment to cut down on driver distraction and all the latest safety packages, it’s easy to see why the Nissan NV400 is the intelligent choice in LCVs. The roof-mounted digital tachograph – optional or standard, depending on model – lets you monitor driver and vehicle activity. Simple menus and accessible buttons make it easy to use. Stay safe – and on the right side of the law – with the simple-to-adjust speed limiter. Rear doors that open through 270° are available as an option, and swing easily out of the way, to make the most of the NV400’s width and height. Loading and unloading is a breeze – whether by hand or by forklift. Magnetic catches hold the 270° doors against the side of the vehicle, so you can load safely, making use of every inch of the rear opening. An optional rear step, integrated into the bumper, takes the effort out of getting in and out of the load space – and it's high enough to avoid kerbs when you're parking. Whether fitted with a universal coupling, pintle hook or standard ball, the NV400's optional towbars have been rigorously tested to make sure your commercial vehicle won't be damaged, even under the most intensive use. Switch songs or stations on the AM/FM/CD audio system using the steering wheel mounted audio controls. Use the integrated Bluetooth hands-free phone system to make and receive calls from clients or the office – while keeping both hands safely on the wheel. Listen to your mobile music library or catch up on podcasts with the USB port and AUX socket. You can even charge your mobile phone or tablet while you're driving. 36.7 MPG The most fuel economical NV400 is the 2.3 DCi 2800 L1 H1 E 110ps FWD.